Brian Kaufman studied architecture at Rensselaer Polytechnic Institute in Troy, NY, and received his Bachelors of Architecture in 1996. He worked at Kohn Pedersen Fox Associates in New York City and John G. Waite Associates in Albany, NY, prior to moving to San Francisco. In San Francisco, Brian worked for Levy Design Partners and BRU Architects, where he was the project Architect for several residential and small scale commercial projects in the San Francisco area. Brian also had his first construction job experience while working at BRU Architects, where he managed the construction of a 25,000 sq. ft. residential and commercial structure in the city. After leaving BRU Architects, Brian moved to Chicago in 2005, where he became a licensed Architect and a licensed general contractor. 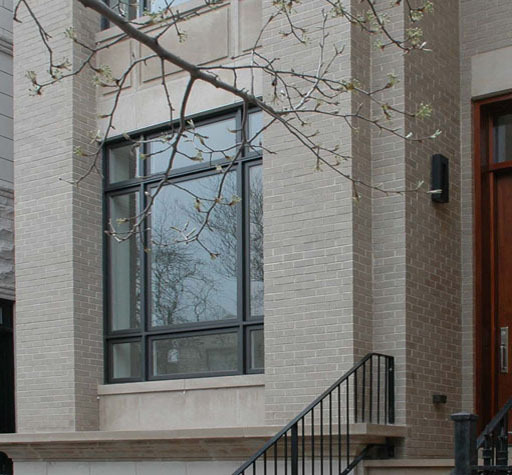 The focus of his work in Chicago was the design and construction of residential properties purchased through a development company, OM-10 Property LLC, of which Brian was a partner. Brian designed and managed the construction of 1 residential renovation and 2 new residential projects during his time in Chicago. He was directly involved with all aspects of the work, including feasibility studies, project budgets, construction financing, building design, and construction management and supervision. In 2009, Brian relocated his design practice back to the San Francisco area, where he has been working on various residential and commercial projects. Brian Kaufman Design has extensive experience with projects small and large, from kitchen and bathroom remodels, to new single family residences and multi-unit residential projects, as well as various types of smaller scale commercial work. Brian has worked with clients from many different backgrounds, whose preferences in design vary from modern and contemporary to traditional and classic. His construction background has proven to be of significant benefit to clients when it comes to the financial and planning aspects of their projects. A more extensive resume of projects and work experience is available upon request.